"Hi everyone! Most we remember I lost a baby in August. I want to thank everyone again for the prayers and support for the miscarriage. Well just found out I'm pregnant. I can't believe I got pregnant my very next cycle. 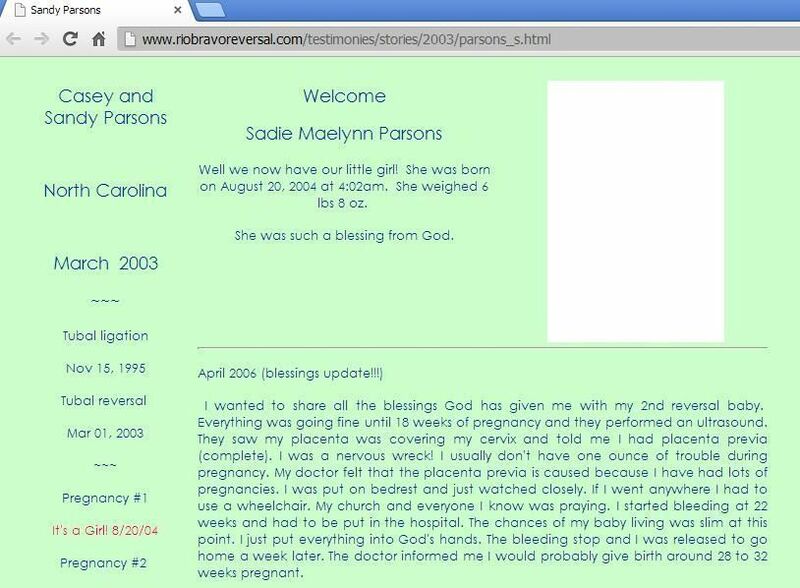 My due date is June 10th. I went to my first prenatal visit yesterday and everything is going great. I had an ultrasound and the baby is where it's suppose to be and has a very good heart rate (140bmp). So my 2nd reversal baby is due June 10th. have a long way to go. I'm now only 7 weeks." Public School Erica Parsons attended North Rowan Elementary School 2006 --- . 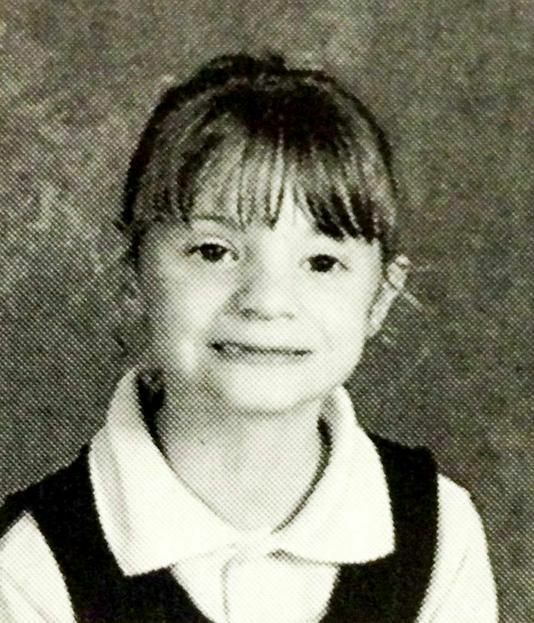 "Found this yesterday; a picture of Erica Parsons from 2006. 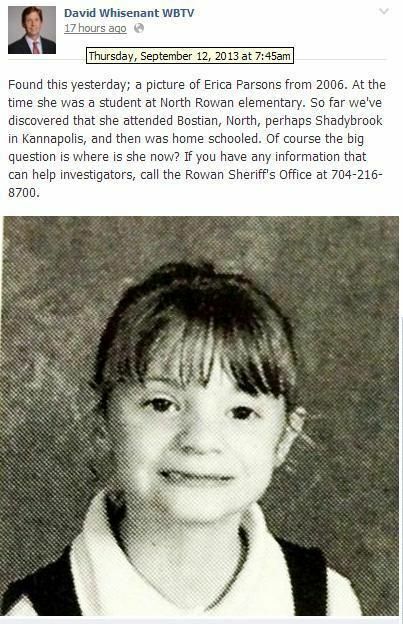 At the time she was a student at North Rowan elementary. So far we've discovered that she attended Bostian, North, perhaps Shadybrook in Kannapolis, and then was home schooled. Of course the big question is where is she now? If you have any information that can help investigators, call the Rowan Sheriff's Office at 704-216-8700."